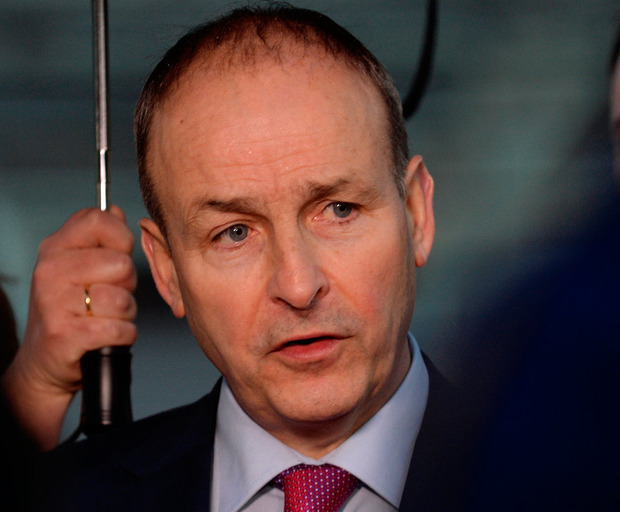 The decision of the Fianna Fail leader, Micheal Martin, to extend for over a year the confidence and supply deal which supports the Fine Gael-led minority government is a wise and welcome move at a time of extraordinary political and constitutional instability in the UK. Similarly, the grown-up manner in which Fine Gael accepted the bone fides of Mr Martin’s announcement speaks well for the maturity of politics on this side of the Irish Sea. As the clock ticks loudly towards Brexit, the political leadership in this country will need to continue to present a united front to mitigate the worst expectations of the UK’s withdrawal from the European Union. Furthermore, the EU itself has shown welcome and commendable solidarity with Ireland as the Brexit negotiations enter a most crucial phase. It is to be hoped and expected that unwavering support will continue up to the deadline in just over three months’ time. At this remove, it is difficult to predict with certainty the outcome of those negotiations. It seems most unlikely that the arch-Brexiteers in the British Conservative Party will deviate from its most destructive course, which would lead to a Brexit damaging to Europe and particularly Ireland but most damaging of all to the UK itself. In that event, the spotlight will soon turn to the Labour Party in Britain, or many of its members of Parliament, which may be forced to save the UK from itself, and support the current deal as negotiated by Theresa May and the EU, or a version close to it. While more possible than a Brexiteer’s about-turn, such an outcome also seems unlikely, however. Labour is intent on forcing a general election that it may not win. The possibility also exists that the UK will apply – as it must, to avoid a no-deal Brexit – to extend the withdrawal agreement deadline beyond March 29 to allow more time for a more measured settlement, either under the leadership of Mrs May or another prime minister. However, in the absence of an election, it would still be difficult to see how the UK can square the circle in the House of Commons. As this newspaper has said before, the least damaging outcome may be for the people of the UK to vote again on various options before them. While fraught with its own difficulties, not least that it may reinforce the current stalemate, it is difficult to argue with points made by, among others, the former UK prime minister, Tony Blair, that the people should have a say again now that the smoke has cleared. Whatever happens, it is comforting to know that the mainstream politicians in Ireland are presenting a united and co-ordinated front in the face of what Micheal Martin has called the greatest single threat to this country’s economic and social well-being in living memory. The Fianna Fail leader is to be commended for the position he has taken. However, while the political focus here must remain firmly on developments related to Brexit, that should not be an excuse to avoid pressing economic and social issues which abound in this country. Many of those issues were identified by Fine Gael in its statement welcoming Mr Martin’s initiative, relating to the management of the economy, health care, infrastructural development, particularly housing, as well as policing and education, child care and the preparation of Irish workers and businesses for future technological changes.